The most special day in your life demands special treatment and everything best. Everything is all set ready, venue is prepared, outfits ready, menu finalized, wedding shoes purchased, decor complete, now what’s next? A most common thing that most of the couples forget is to book a Toronto wedding limo to make their special day even more special. Transportation plays a crucial part in uplifting the glory of the whole event and offers a suitable modes to pick & drop guests without any mess. Making booking ahead of time is possibly the best way to move forward. What training needs do you’ve for your drivers? A majority of states need limousine drivers to have a chauffeur’s permit or license, beside their standard class D driver’s permit. If your limousine ride will take you over state borders, the driver is needed to possess a chauffeur’s license in the state as well. What vehicle models do they offer? There are several different types of limos – from the basic stretch limo to SUV-based model. Ask regarding the model, make, and years of the limousines provided by the company. Can I book a certain model? Often, a limo firm will provide many diverse models under the same cost blanket or commuter capacity. If you’ve any preference, be certain to specify which model you’d love to hire. Do they charge by mileage or by the hour? The reply to this query will decide whether you travel the highways throughout your joyride or whether you prefer driving slowly all through the town. Asking this query prior to planning your route will assist prevent embarrassment afterward. What does the limo firm’s insurance policy cover? Knowing exactly what’s covered by the limo firm’s insurance policy will assist you in the circumstance of a minor accident or more serious mishap. Whose insurance will be accountable in the event of a personal injury and if additional insurance protection will require to be purchased are all smart queries to inquire. Some limousines comes stocked food and beverages – other don’t. Check out if the limo has all the components inside for a merry ride. If the limousine doesn’t come with food & beverages, ask if you could order some before time to have it reserved and compensated separately. The lesser details you’ve to worry regarding on your special day, the better. Toronto Airport Limos is your one stop for your budget-friendly and comfortable Toronto wedding Limos. A special vehicle is waiting for you for your special day. 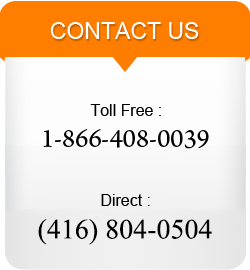 For booking, call us at 1-866-408-0039.